It’s more than three decades already. However, the impact that Madonna made in the music and fashion industry right from when she stepped on the big stage in 1983 is one that is worth all the attention it can get. She was highly innovative and pushed boundaries, adding elements of interracial relationships and sexual aggression – areas the media had earlier never thought of giving attention to. 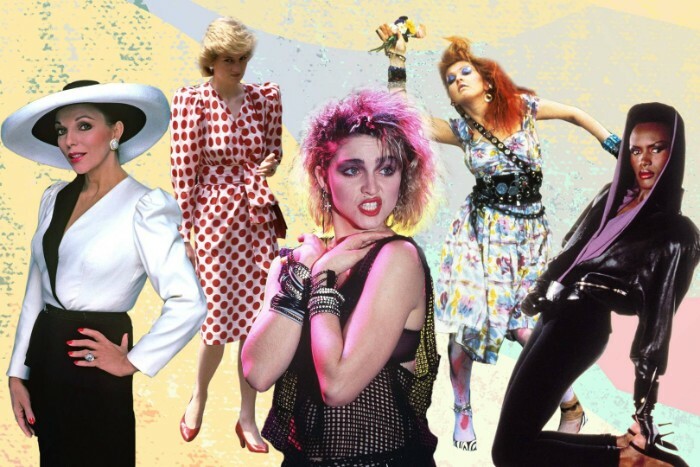 Some of the elements that made up her 1980s signature style include lots of bracelets, religious jewelry, lace tops, fingerless gloves, ribbons, mesh tops, layers, and high-heeled boots. This turned out to be a mix of amazing costume that the ladies could easily borrow inspiration from for their next 80’s party. Most costume ideas are gotten from music videos and movies of favorite celebrity icons, so let us look at some of Madonna’s best costume ideas. Written by Madonna herself, Lucky Star was the fourth single from her debut album which put her on the route to stardom. In the video, she wore an all-black outfit with leggings, belly button, ankle boots, and hair bundled in a floppy black ribbon. She paired it with a shiny black mini-skirt, fingerless gloves, lots of rubber bangles, and an earring on her right ear. So, just go on and wear plenty of bangles, thick black socks, black boots, and tie up your hair for your Madonna 80s outfit. Like a Virgin (also the name of the album) was the first single from her second album in 1984. The video has a lot of sexual allusions and became her first hit, alongside “Material Girl”. The video had her wearing a wedding dress on a big messy hair, which was used for her live performances. Want to imitate this 80s outfit? Go for wedding bouquets, white dresses, lace, and large cross necklaces. Don’t forget to keep your hair messy and voluminous. Right from Madonna’s debut album, this was her first song to reach to reach the Top 10 despite being the fifth to be released. The music represented her cry against male chauvinism. While music videos weren’t yet so popular, this one contributed largely to her success. It laid emphasis on interracial relationships, which weren’t so popular at the time. In the video, she wore multiple outfits which included crop tops, sweaters, tee-shirts, lace gloves, legwarmers, and high-heeled boots. Creating your own Borderline outfit will require similar items – including black sunglasses, white pumps, chains, cross necklaces, bangles, and a piece of lace to tie your hair.